First, cut out as many tacos as needed, based on the length of the finished banner that you want to end up with. 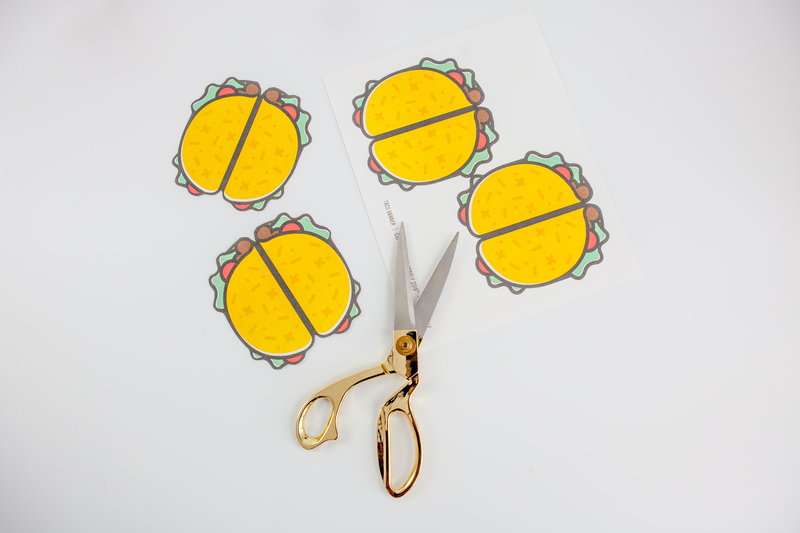 Once cut, fold each of the tacos in half and crease them down the center. 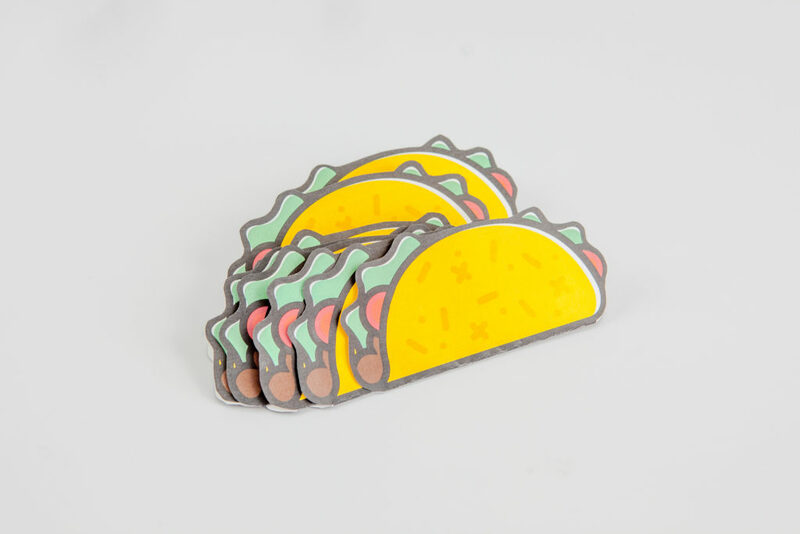 (You should end up with a folded paper taco). 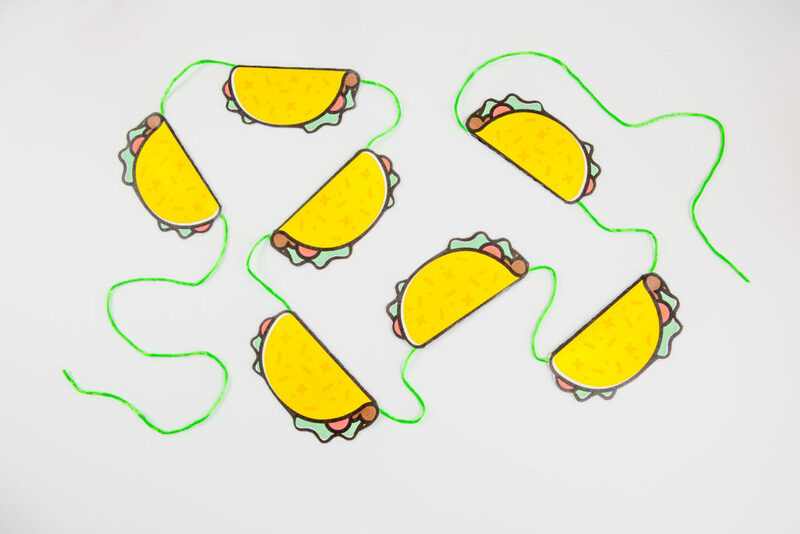 Unfold each of the tacos, and attach your string to the center of each one, along the fold, using tape. (I secured mine twice with the tape). 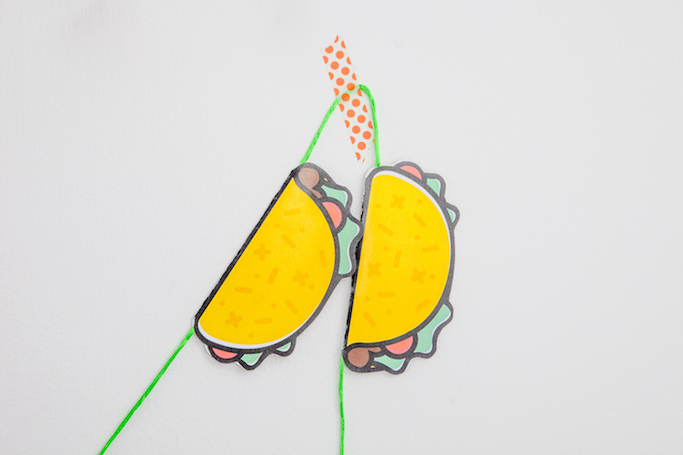 Space them out as far or as close together as you prefer on your string. I like to keep the space consistent between each of them as I go, just to ensure the banner looks balanced when it’s finished and hanging up. 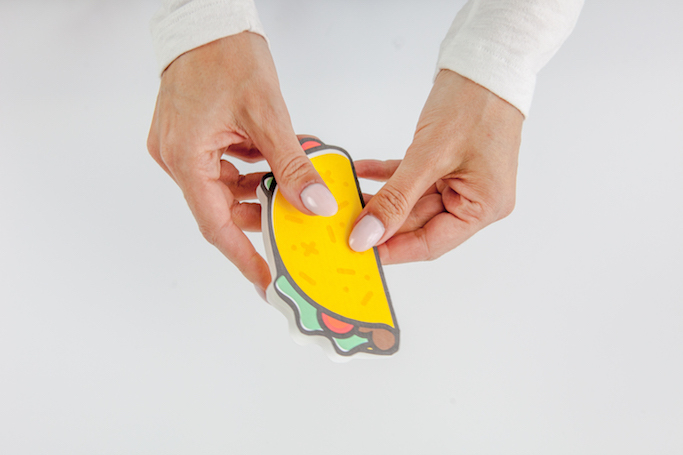 Glue both sides of the taco and press both sides together to secure. 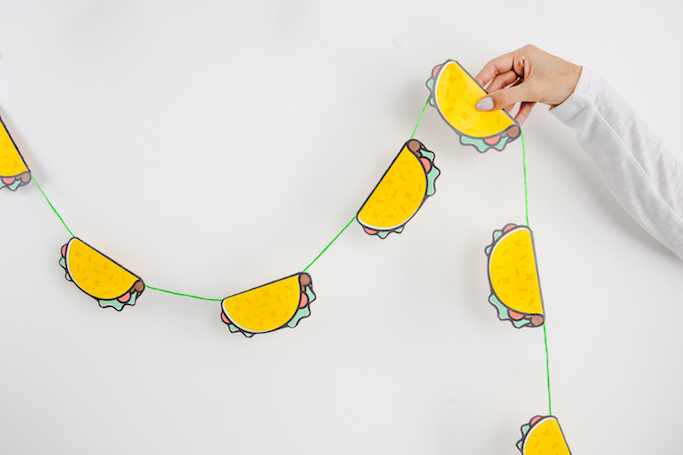 Continue the same steps with each taco until you reached a finished banner size that you like. 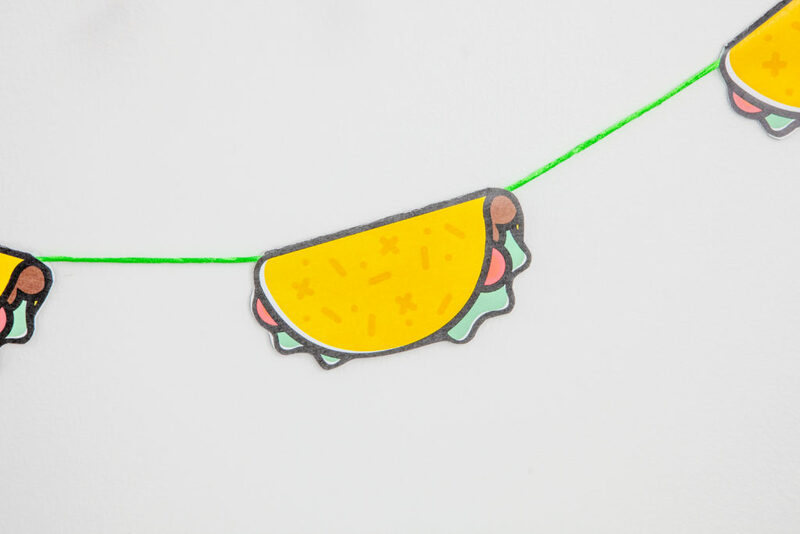 Allow the tacos to dry completely before hanging. 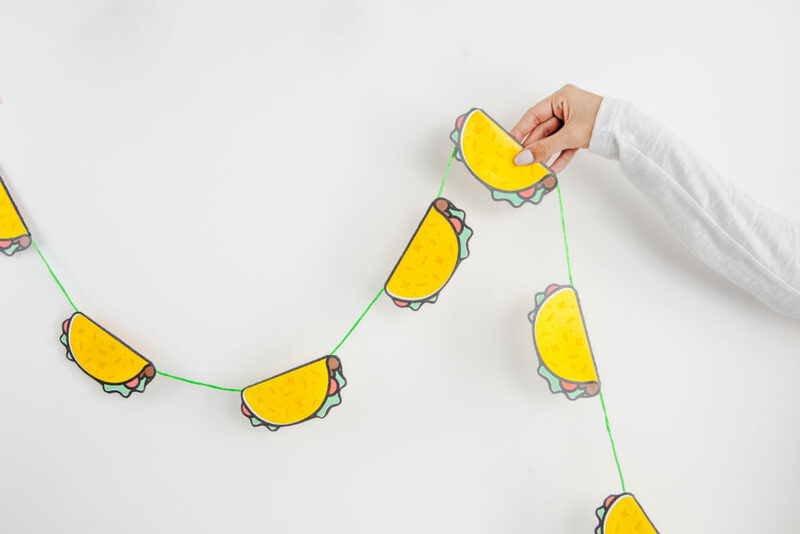 Once all of your tacos have dried, you’re ready to hang up your banner! 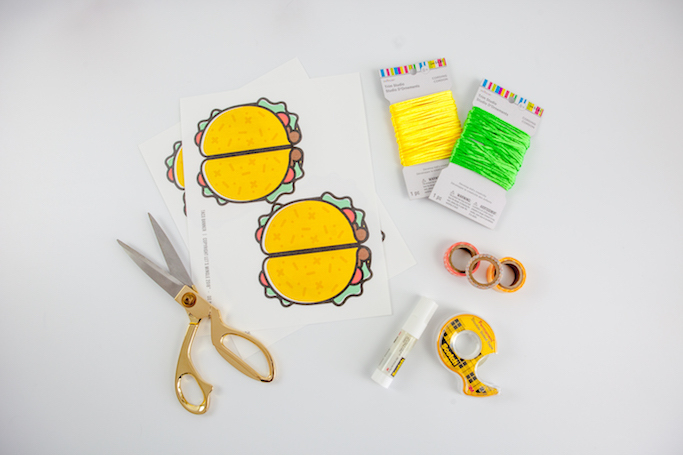 You can attach the banner to the wall using regular tape, but I like to use fun patterns or colors of washi tape for a little bit of extra flair.